This is a brand new, high-quality, replacement headlight washer system pump for your Audi or Volkswagen. 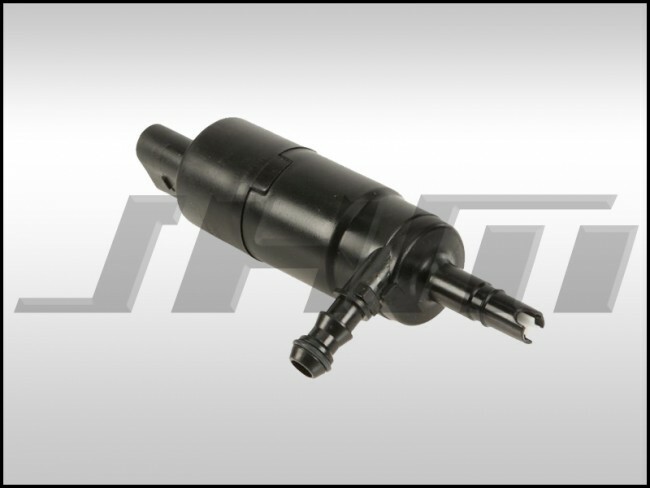 This pump is made by Febi, an original equipment supplier (OES) for many Audi and Volkswagen parts. This pump will fit your B5-B6-B7-B8 A4 (B8 up to 2012), your B6-B7 S4 or RS4, your C5-C6 A6, and many other Audis and Volkswagens. Call us if you have questions about fitment for your car! We also recommend replacing the gasket that seals this pump to the washer fluid reservoir which you can find in this same section of the store. Please go back one section to add that part to your cart! The OEM part number for this pump is 3B7955681 or 3B7 955 681.